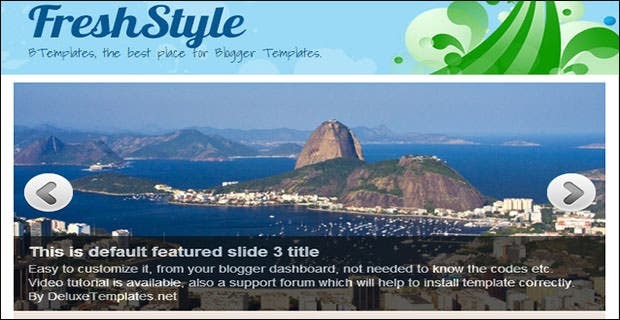 These are blog templates for people who would like to create blogs about Art and Craft, including photography. 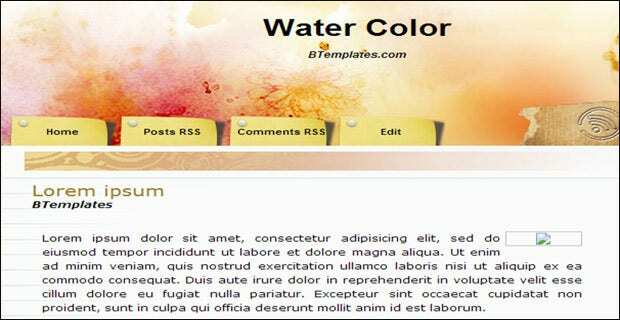 A free template that has 2 columns, footer columns, a nice background, and a right sidebar. It is great for use in Art, Fantasy, or Kids blog. It has a serene nature, and perhaps that is where it derives its name. 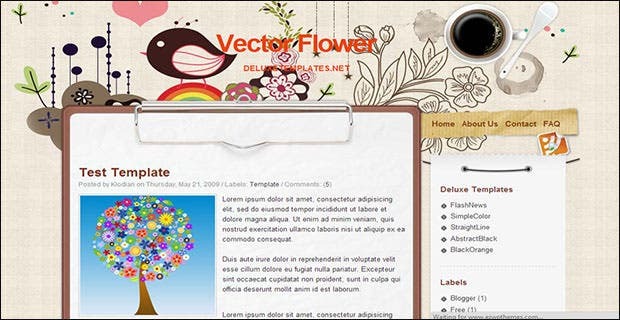 A blog template that has a background of a floral motif painted in watercolor. It has two columns, a footer area, and a sidebar on the right. It has a grunge look and is quite clean. It is perfect for an art blog. 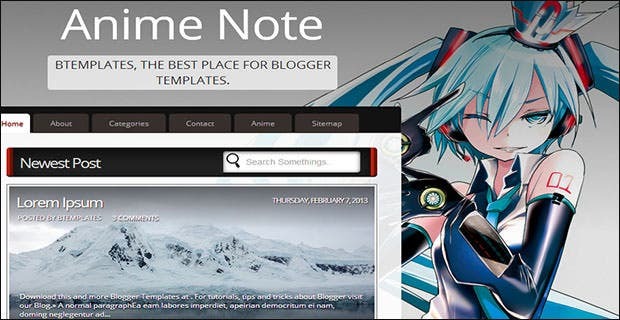 This is a blog template with an anime theme. It is ideal for people who love to create anime art works. 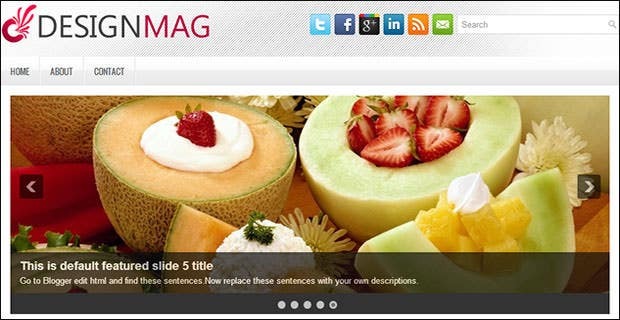 It has a fresh design, and is compatible with Web 2.0. It has social icons, bread crumbs amongst many other features. 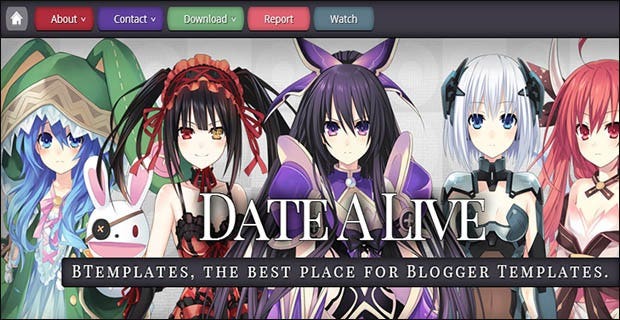 This is another anime blog, and can be used for anime character drawings and stories. 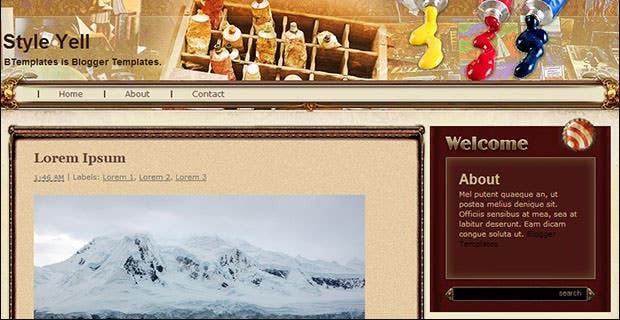 It has great style, and is also web 2.0 compatible. All the elements are well put together ensuring a smooth flow of the content and comments. This is a template that is ideal for art, home, decoration or family content. It has 2 columns, and has thumbnails for the posts. It allows for social bookmarking among many other functional features. 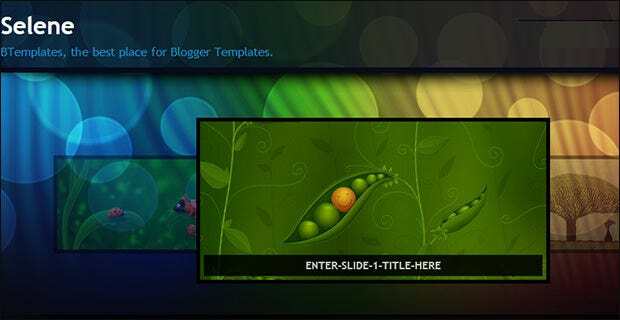 This is an excellent art blog template with 2 columns, a slide show, gradients and vector elements, social bookmarking ability and a fresh look. This is designed for blogs talking about photography and art. It is a minimal template without many frills and is ideal for someone who enjoys the vintage look, and also deals in vintage artwork and photography. This is a layout for science, culture, or art. It is also a minimal, no-frills blog. It has a vintage style, a single column, and one sidebar on the right. 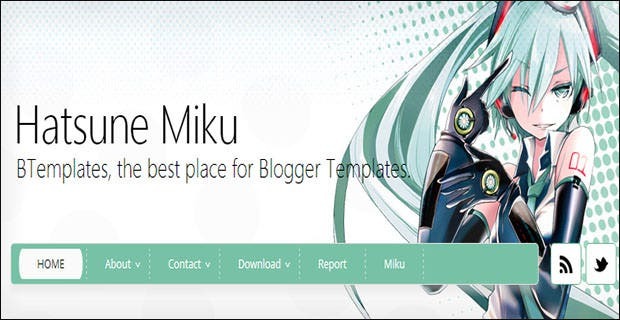 As the name says, this is a template expressly designed for an art blog. 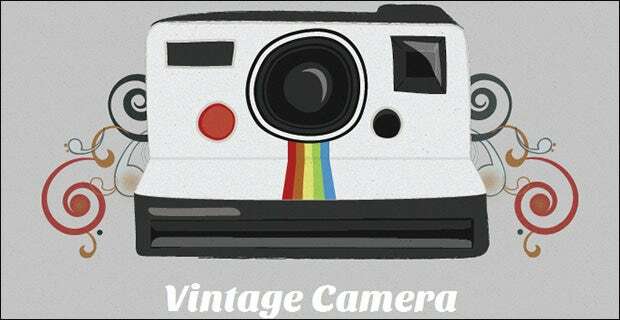 It has a vintage style and has abstract and vector elements. It has two columns and a sidebar on the right. It also has rounded corners. 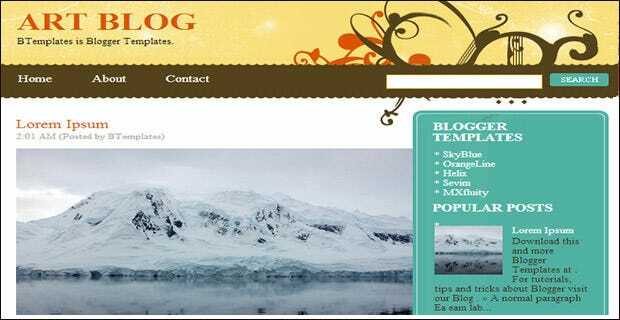 An excellent layout for blogs about art. 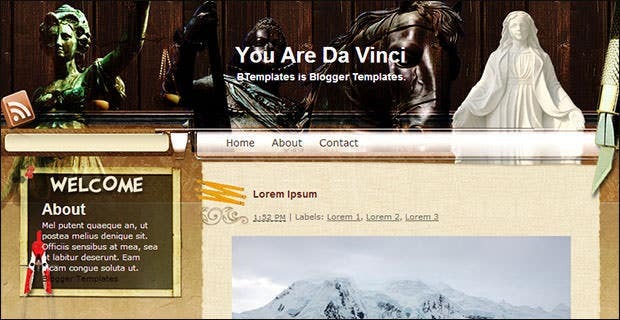 It has 2 columns, a vintage style and a right sidebar. 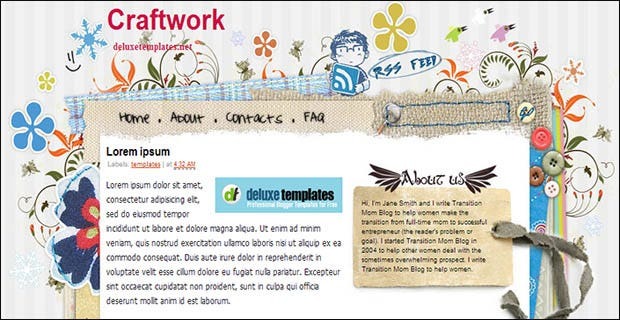 This layout is specifically designed for craft work. The background is littered with various categories of craft work, but the foreground has a nice, white, clean layout. This is a good layout for vector graphics. 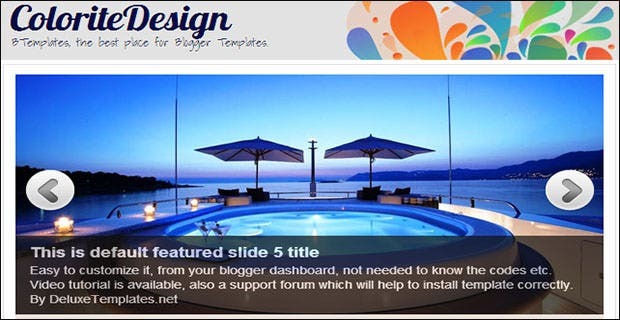 The background will add credence to any designs that you may talk about in your posts.